The authors offer this as a ‘brief guide’ to the Mental Health Act and the content is commendable, says Eleanor Sherwen. The authors offer this as a ‘brief guide’ to the Mental Health Act and the content is commendable. The text guides the reader smoothly and succinctly through a concise history of common and statutory law. 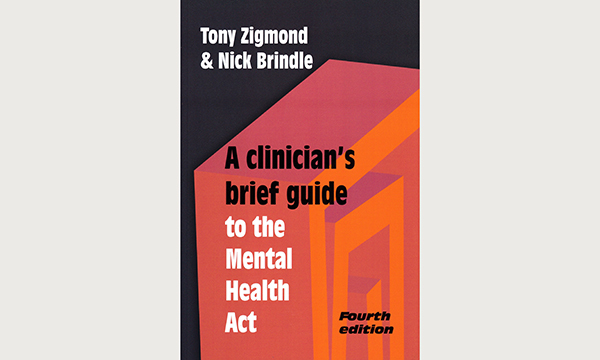 It is illustrated throughout with relevant and applicable content, helping to bring to life the process of decision-making and the application of the Mental Health Act. It also highlights the complexities that front-line clinicians may have to navigate in their daily work. This text is eloquently written, accessible and user-friendly in its format and delivery. It is a must-read for all nurses working in mental health, whether those in hospitals, communities or the prison service. It would also be a valuable resource for those working in adult safeguarding, lecturers, nursing students or anyone with a professional curiosity about mental health and the act of mental health. Overall, an enjoyable and informative read.